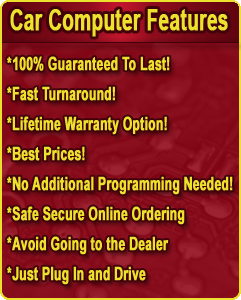 We offer the highest quality DODGE GRAND Caravan ECM PCM ECU TCM replacement modules at $100's less than dealer cost. Your ECM Module will be programmed and flashed with the latest Mopar updates direct from Dodge. No Additional Programming Necessary. Just Replace and Drive. It really is that simple. All modules come with a 1 year warranty, at no additional cost. We carry and have in inventory all Part #'s.